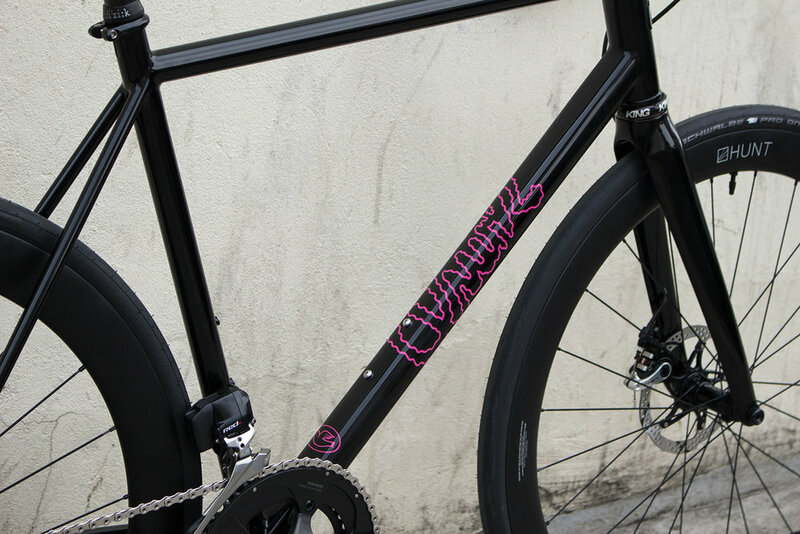 FINISH: This frame is part of a pair of bike Rob made for the same customer simultaneously. 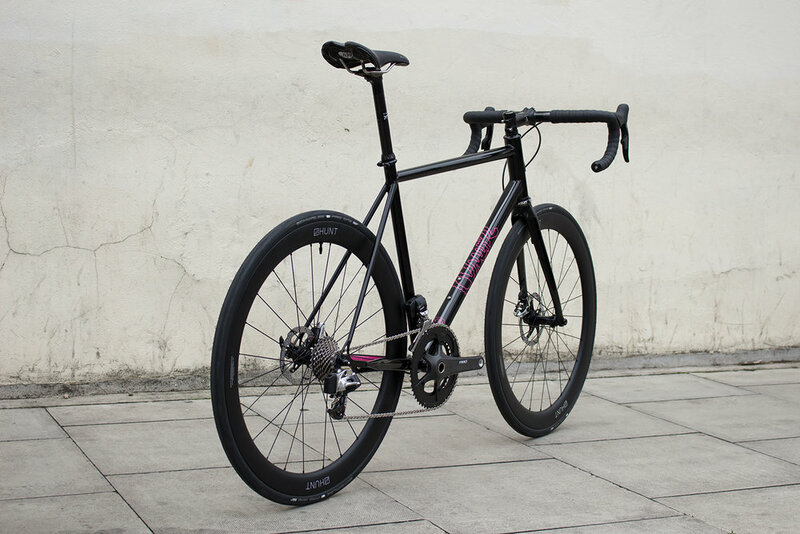 As Rob's framebuilding develops and his style blossoms, his builds are given character through their well considered geometry and component specification rather through the loud colour palettes he's become known for. 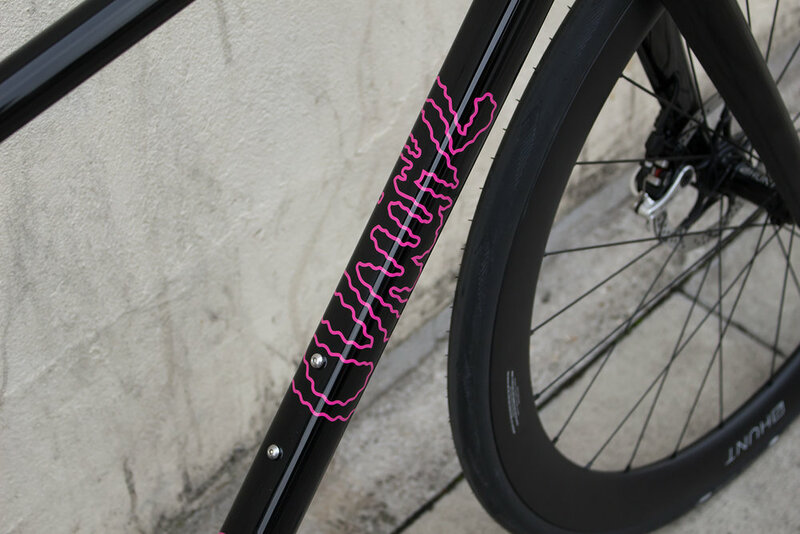 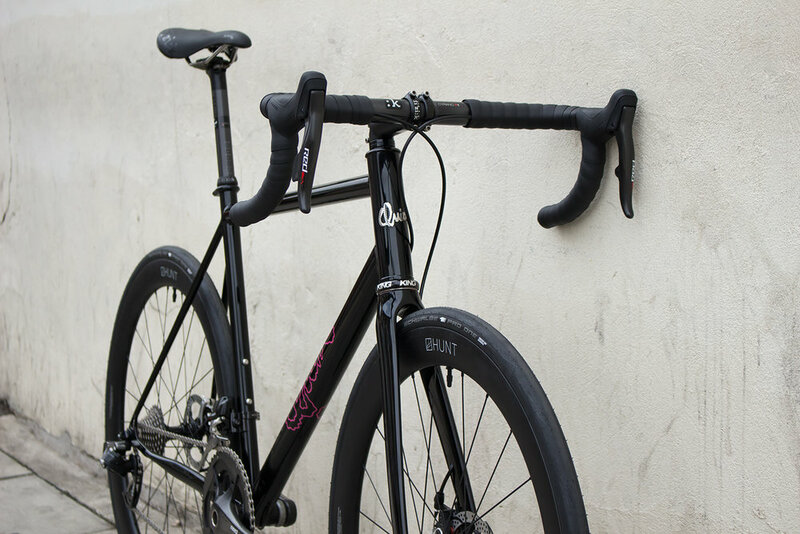 This frameset for the most part is simply a deep gloss black; minimal and classic BUT at the same time still holds some typical Quirk brand flourishes in a bold magenta hosted on the chainstays and downtube graphic referencing the playful style that established the name.